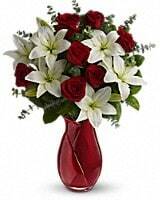 Teleflora's Look of Love Bouquet - by Victoria Rose Floral, Inc. 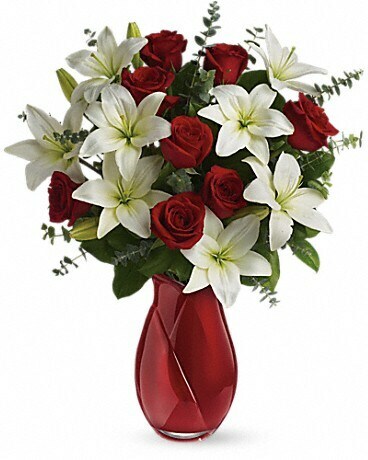 Her friends will be envious when they see her spectacular gift of fragrant roses and lilies in this magnificent hand-blown art-glass vase etched with an exquisite "rosebud" design. 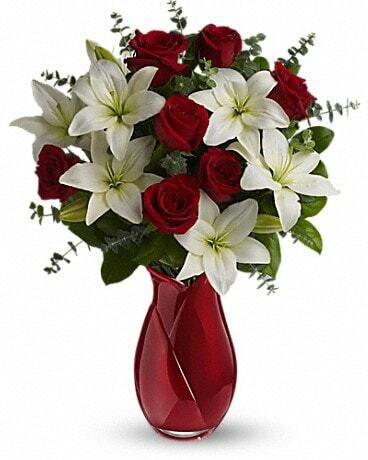 She'll appreciate you even more. 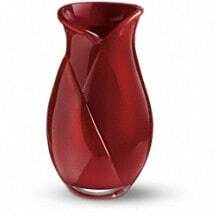 This luxurious hand-blown art-glass vase etched with an exquisite "rosebud" design is from Teleflora's world-famous Flowers-in-a-Gift collection. A work of art that she'll treasure for years to come.